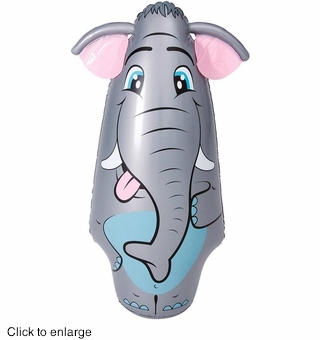 Every kool kid will love to play with thier new silly Elephant Inflatable punching bop bag. Our awesome elephant bop bag is ready to be rumbled and bumbled just inflate and fill the built in sand stability chamber (sand not included). The elephant bop bag stands 36 inches tall and is recommended for ages 3+.